The UT Board of Trustees authorizes the awarding of honorary degrees to recognize individuals who have benefited the institution or society through outstanding achievements or leadership. Howard H. Baker Jr., a native of Huntsville, Tennessee, received his law degree from UT in 1949. UT’s Howard H. Baker Jr. Center for Public Policy opened in 2003 as a nonpartisan institute devoted to education and research concerning public policy and civic engagement. Baker passed away in June 2014 at the age of eighty-eight. He served in the US Senate from 1967 – 1985 and became known as “the great conciliator” for bringing lawmakers from both political parties together to resolve pressing issues. He rose to national prominence during the Watergate hearings of 1973–1974 as vice chairman of the Senate Watergate Committee. He asked the most famous question of the hearings: “What did the president know, and when did he know it?” Baker served as President Ronald Reagan’s chief of staff and the US Ambassador to Japan from 2001 – 2005. East Tennessee native Dolly Parton is an entertainment legend and philanthropist. Her philanthropic work has centered on the importance of reading and education in the lives of children. She founded the Imagination Library in Sevier County and it now serves children nationwide. She has won seven Grammy Awards, ten Country Music Association Awards, and received two Oscar nominations. She is a member of the Country Music Hall of Fame, the Songwriters Hall of Fame, and the Grand Ole Opry. Al Gore, a native of Carthage, Tennessee, was our nation’s forty-fifth vice president, serving with President Bill Clinton from 1993 to 2001. He won the 2007 Nobel Peace Prize with the Intergovernmental Panel on Climate Change for informing the world of the dangers posed by climate change. Gore was elected to the US Senate in 1984 and 1990. He represented Tennessee in the US House of Representatives from 1976 to 1982. Nashville native Charles O. 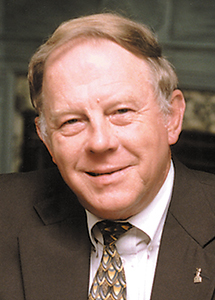 “Chad” Holliday, a 1970 engineering graduate, is the former chairman of the board of Bank of America. As CEO of DuPont from 1998 to 2008, he helped transition it from a chemical company to a science-based manufacturer and global leader in responsible, sustainable manufacturing. He has served on the board of directors for numerous companies and organizations and he is past chair of Catalyst, a leading nonprofit organization dedicated to expanding opportunities for women in business. He is also past chair of the US Council on Competitiveness, a nonpartisan governmental organization working to ensure US prosperity. Nashville native John Seigenthaler was a renowned journalist and civil liberties advocate. He was editor, publisher, and CEO of the Nashville Tennessean and founding editorial director of USA Today. He passed away in July 2014 at the age of 86. In the early 1960s, he served as administrative assistant to Attorney General Robert F. Kennedy and negotiated with the governor of Alabama during the Freedom Rides. In 1991, he founded the First Amendment Center at Vanderbilt University. Knoxville native Mary Costa is an opera singer who is best known for providing the voice of Princess Aurora in Disney’s Sleeping Beauty. She is a cultural ambassador and advocate for the arts, education, young musicians, and at-risk children. An internationally acclaimed soprano, Costa has appeared in forty-four operas, four films, and numerous television programs. She has shared the stage with many legendary entertainers, including Bing Crosby, Frank Sinatra, Dean Martin, Sammy Davis Jr., and Jack Benny. Costa has received many honors for her artistic contributions. In 1999, she was named a Disney Legend for her contributions to the Walt Disney Company. President George W. Bush appointed her to the National Council on the Arts, on which she served from 2003 to 2007. Costa has spoken at schools and colleges nationwide and has served as an ambassador for Childhelp, a national nonprofit group that aids victims of child abuse and neglect. John Noble Wilford, a 1955 journalism graduate, is a two-time Pulitzer Prize–winning author and science journalist who spent most of his career at the New York Times. His front-page story about the first walk on the moon has become the most widely used account of the historic event. He won a Pulitzer Prize in 1984 for his reporting of science and space exploration, and again in 1987 as part of the team covering the space shuttle Challenger disaster. Edward O. Wilson is an American biologist, researcher, theorist, naturalist and author. He is considered the world’s leading authority on ants and the founder of sociobiology. After earning his bachelor’s and master’s degrees in biology at the University of Alabama, Wilson came to UT to study with ant taxonomist Arthur Cole. While at UT, Cole and other faculty members saw his potential and assisted him in transferring to Harvard where he earned his doctorate in 1955. Wilson began teaching at Harvard the following year and spent the next forty years on the faculty there. He was the Joseph Pellegrino University Research Professor in Entomology at Harvard and also served as curator in entomology at Harvard’s Museum of Comparative Zoology. At Harvard, he mentored then-graduate student Dan Simberloff, now UT’s Hunger-Gore Distinguished Professor of Environmental Studies and one of the world’s leading authorities on invasive species. Wilson and Simberloff are both members of the National Academy of Sciences; Wilson was elected in 1969, and Simberloff was elected in 2012. 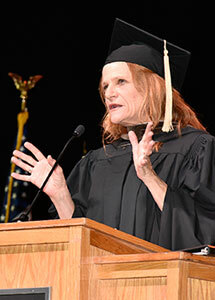 Knoxville-born actress Dale Dickey—who has been dubbed “the reigning queen of Southern gothic” for her empathetic portrayal of downtrodden, other-side-of-the-law types—attended UT as a theatre major from 1979 to 1984. She appeared in more than twenty Clarence Brown Theatre productions before she was a student. Since finding success in Hollywood, she has returned to Clarence Brown to work with students and star in several productions, including Steel Magnolias (1990), Our Country’s Good (1994), The Rainmaker (2001), and A Streetcar Named Desire (2009). She played Mrs. Lovett in Sweeney Todd as a student in 1983 and reprised the role as a visiting artist in 2012. Dickey received an Independent Spirit Award for her performance in the Oscar-nominated movie Winter’s Bone. Her movie credits also include Hell or High Water, and The Pledge, and her television credits include My Name is Earl, True Blood, Breaking Bad, and Christy. Marian Wright Edelman is a lifelong advocate for disadvantaged people, particularly children. In 1973, she founded the Children’s Defense Fund, which has become an international voice for children on issues of foster care, adoption, child care, and support and services for children who are disabled, homeless, abused, or neglected. The Children’s Defense Fund’s Leave No Child Behind movement is headquartered on the 157-acre Alex Haley Farm in Clinton, Tennessee. The first African-American woman admitted to the Mississippi bar, Edelman directed the NAACP Legal Defense and Educational Fund office in Jackson, Mississippi, and served as counsel for the Poor People’s Campaign that Martin Luther King Jr. began organizing. She directed the Center for Law and Education at Harvard University for two years. Edelman’s many awards include the Presidential Medal of Freedom, which is the nation’s highest civilian award, and the Robert F. Kennedy Lifetime Achievement Award. UT alumna Robin Klehr Avia has established herself as a driving force in the world of architecture and design. She is the regional managing principal and chair of the executive committee of the board of directors for Gensler, one of the world’s leading architecture and design firms. More than a thousand people are employed in the areas under Avia’s supervision in offices in New York City, Boston, Morristown, Toronto, Sao Paulo, Costa Rica, and Mexico City. She has directed award-winning projects that include the New York Times headquarters and Condé Nast’s headquarters at One World Trade Center. Avia is a mentor to many UT architecture and design graduates who now hold key positions with Gensler. Avia has received numerous design awards including the Business Week/Architectural Record Award, the International Interior Design Association’s Decade of Design Award, and top national awards from the Society of American Registered Architects. Memphis native James L. Herbert is a global expert in business development and animal science. He is a founder and the CEO of Neogen Corporation, headquartered in Lansing, Michigan, which focuses on the development, manufacturing, and marketing of products for food and animal safety. The company markets its products to more than 100 countries and has subsidiary operations in Scotland, Brazil, Mexico, China, and India. Neogen has been repeatedly named to Forbes’ list of the Best Small Companies in America and was chosen by NASDAQ as a Global Select Market company. Herbert has been named Michigan Entrepreneur of the Year by USA Today and NASDAQ. He sits on the Greater Lansing Chamber of Commerce board of directors, is the governor’s appointee to the board of directors of the Michigan Strategic Fund, and is a director of numerous other civic organizations. He also serves on the UT Foundation board of directors. Thom Mason became senior vice president for laboratory operations at Battelle in 2017. Prior to that, he served for ten years as director of Oak Ridge National Laboratory. UT and ORNL are strategic partners, sharing joint institutes, faculty, and research centers including the Bredesen Center for Interdisciplinary Research and Graduate Education. Mason played a large role in launching ORNL’s Spallation Neutron Source and the Institute for Advanced Composites Manufacturing Innovation. An experimental condensed matter physicist, Mason conducts research that focuses on finding ways to meet the energy needs of people while mitigating the impact of the world’s energy choices. He served as an adjunct faculty member at UT for 18 years. Mason is a fellow of the American Association for the Advancement of Science, the United Kingdom Institute of Physics, the American Physical Society, and the Neutron Scattering Society of America. Fred Smith is founder, chairman, and CEO of FedEx Corporation. The $45 billion a year global transportation, business services and logistics company is the largest publicly traded company headquartered in Tennessee and the top global courier delivery services company in the world. A native of Mississippi, Smith moved to Memphis as a boy and lived there until he left to attend Yale University. While completing his degree in economics, Smith outlined a business model for an overnight delivery service designed to accommodate time-sensitive shipments. Although the project earned only an average grade, Smith didn’t give up on the idea. After graduating from Yale and serving for three years in the US Marine Corps, he returned to Memphis in 1970 and again focused on the idea from his school project. The next year, he founded Federal Express. His leadership resulted in industry-first advancements that made faster package sorting and tracking possible and made shipping much more convenient for customers. He pushed for shipping regulation changes that allowed the company to expand its air cargo service to serve 220 countries and territories. As Tennessee’s 48th governor, from 2003 to 2011, Phil Bredesen led the state in making significant health care and education improvements. He worked closely with UT leaders to enhance the university’s partnership with Oak Ridge National Laboratory. He helped established the state-funded UT-ORNL Governor’s Chairs Program, which now funds 15 world-renowned scholars. He also was instrumental in creating UT’s Energy Science and Engineering doctoral program, which is housed in the Bredesen Center for Interdisciplinary Research and Graduate Education, named in his honor. Before he was elected governor, Bredesen served two terms as mayor of Nashville. He helped revitalize downtown and was instrumental in recruiting the NFL Tennessee Titans and the NHL Nashville Predators to the city. Earlier in his career, Bredesen, who has a degree in physics from Harvard, worked in the pharmaceutical industry. He and his wife, Andrea Conte, founded HealthAmerica Corp. in Nashville, an insurance company that grew to employ more than 6,000 employees. Ken Lowe has been one of the world’s leading communication and information industry executives for nearly five decades. He founded and launched HGTV and oversaw the acquisition and transformation of the Food Network and the Travel Channel. He was responsible for relocating the Scripps Network Interactive corporate headquarters from Cincinnati to Knoxville. Jon Meacham is a presidential historian, a Pulitzer Prize–winning writer, editor, and scholar. Born in Chattanooga, he began his career at the Chattanooga Times and went on to be an editor at Random House, Newsweek, and the Washington Monthly. He contributes to the New York Times Book Review, Time, and MSNBC. His book American Lion: Andrew Jackson in the White House won a Pulitzer Prize and was a New York Times best seller. He’s also written award-winning books about George H. W. Bush, Thomas Jefferson, Franklin Roosevelt, and Winston Churchill. Meacham, who lives in Nashville and Sewanee, is a member of the Council on Foreign Relations and the Society of American Historians. He is a distinguished visiting professor at Vanderbilt University. 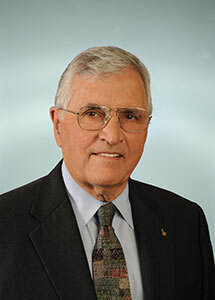 Harrison Schmitt was an astronaut who piloted Apollo 17’s lunar module, landing on the moon on December 11, 1972. He is the only professional scientist to have stepped on the moon. He served as a US senator from New Mexico from 1976 to 1982 and chaired the NASA Advisory Council. He has been inducted into the International Space Hall of Fame and the Astronaut Hall of Fame, and had a US Department of State leadership award named in his honor. Scott Niswonger was born in Van Wert, Ohio, where he learned to fly, soloing on his 16th birthday. He has flown everything from J-3 Cubs to the Boeing 747, and he enjoys flying his Gulfstream IV and his aerobatic Navy T-34 trainer. After graduation from Purdue, Niswonger moved to Greeneville, Tennessee, as the corporate pilot for the president of the Magnavox Company. Niswonger co-founded Landair Services and later formed Forward Air Corporation. He is executive chairman of Landair Transport Inc. and chairman emeritus of Forward Air Corporation. He is a member of the board of directors of First Horizon National Corporation, the parent organization of First Tennessee Bank. He is chairman of Tennessee State University board of trustees and a trustee of Tusculum College. He is especially proud of the Niswonger Educational Foundation, which he established in 2001 to create opportunities for individual and regional growth through educational programs, scholarships, and other charitable activities. Niswonger is the lead benefactor for Niswonger Children’s Hospital, home to one of only eight St. Jude affiliate clinics in the world.